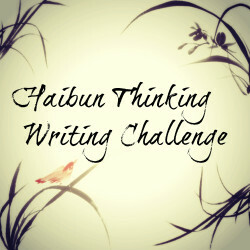 On a Tuesday, new prompts are added to the Haibun Thinking page to create a post using the Japanese form of writing. Write a piece of at least one paragraph and finish it with a haiku style ending. If you want to know more about the Haibun, then you can go either to the Haibun Thinking page where it has examples, or you can go to Penny’s blog The Haven Of Haibun which goes into easy to read details of how they are created. Once this has been, you can stick a link in the creature and then have a look at what the other couple of people have written. By day, the hustle and bustle of the town is all around. People running to work, walking there, driving, bussing, going by taxi, driving; roads fill with vehicles where everyone is thinking about going to work, where the next pay check is coming from, where the money for the next bill, where the next meal is coming from. The day is filled with worry, with stress, with sounds of other people wondering the same things. Thinking about having more money going out than coming in, wondering where presents for Christmas are going to come from. The end of the working day and heading home along with many other people, the thoughts the same as the morning, but this time there is the thought of relaxation. To sink into the favourite chair and get lost in the mundane life of television. There is an alternative. Walk along the sea front beside the calmness of the water. Watch the reflection of the lights glitter off the water, feel the peacefulness of the air, the fresh breath. Let the worries float out to sea, and be washed away. Then when you go home, you can sleep with peace. This entry was posted in Haibun Challenge and tagged Challenges, December, Haibun Thinking, Haiku, Life, Poetry, Postaday. Bookmark the permalink. Thank you Penny. Glad you enjoyed it. 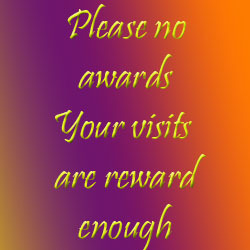 You Haiku offers a perfect conclusion from the hustle and bustle. It’s nothing quite like a night time stroll with the camera. Thanks Seyi 🙂 Would be nice for a night time beach stroll.